This aircraft has been restored to static condition. FW 190 D9 WNr. 400616, formerly flown by Uffz. Koch of the famous JG 54 “Greenhearts”. 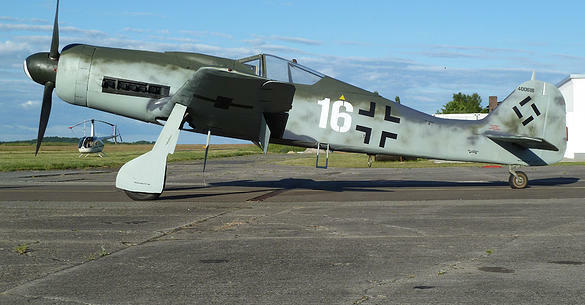 This is one out of only two surviving FW 190 D9 worldwide with authentic serial number and battle history. The aircraft even features the original Jumo 213A previously used on this Serial number.